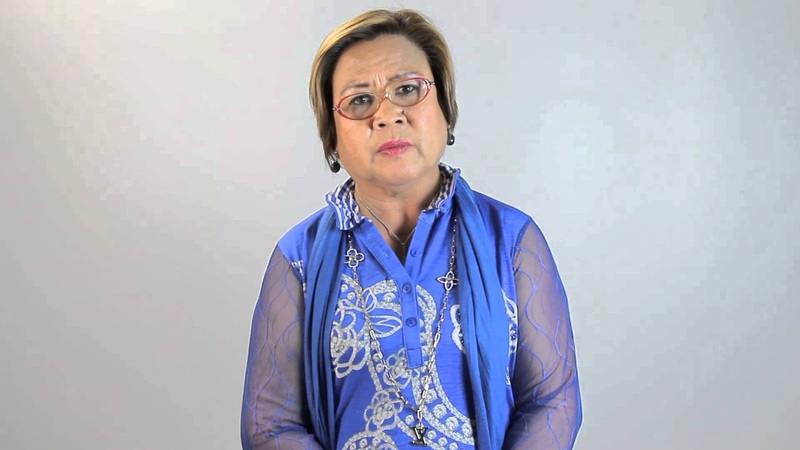 During her 100th day in detention inside Camp Crame in Quezon City, Senator Leila de Lima on Sunday said her current situation is "worse than death." That claim is contrary to what we've seen in a video that surfaced right after she released that statement. In a video that circulated on Facebook, the senator can been seen very happy and seems like she is actually enjoying her time in prison. She can be seen setting up a hammock and eventually rode on it. It is also worth mentioning that saging saba was not in her possession when the video was taken. The Muntinlupa Regional Trial Court in February ordered De Lima to be detained at the Philippine National Police Custodial Center inside Camp Crame in Quezon City, for her supposed involvement in the illegal drug trade inside the New Bilibid Prison during her stint as Justice secretary. "Today is my 100th day in detention. An agony of an indefinite duration," De Lima said. Well, what do you expect? Prison isn't like going to Disney Land. It exists basically to impede you from doing more crimes. "Yes, to be deprived of your physical liberty, even if temporary, and its concomitant indignities, and especially if you know within the deepest depth of your being that you’re innocent, evokes an indescribable yet overwhelming feeling of despair as well as revulsion," she added. While De Lima constantly claims that she is a 'political prisoner,' she is far from being one. SHE IS NOT A POLITICAL PRISONER. She serves nothing, but her wealthy and filthy patrons. She is a criminal, a narcopolitician who is responsible for the deterioration of many lives. She deserves all she got right now. In fact, it's not enough.